Wenger was a company that made several categories of knives in many sizes. In 1991 Wenger made a category 120mm with larger functions. Many were implemented in a new fully redesigned category 130mm in 2006/2007 with some modifications. Wenger realized that larger functions makes sense and makes a difference in the outdoors. Larger locking blades are safer and save time. It is more comfortable to use. The Wenger New Rangers and RangerGrip in 2009 completed the Wenger philosophy on professional outdoors products. The RangerGrip on the picture today is the same one I have shown on SAKhome for years and tested. I welcome anyone to check it out to see the quality. I will have to sharpen the edge again because I have used it on so many materials. This slim high grade stainless steel blade and edge got a surprisingly long edge holding ability with a very good bite. The mechanism and construction is intact on all areas on this large 130mm SAK. If you study SAKhome.com you will see all my talk about OH, locks and large size functions. To be a complete outdoors product then size must be present. 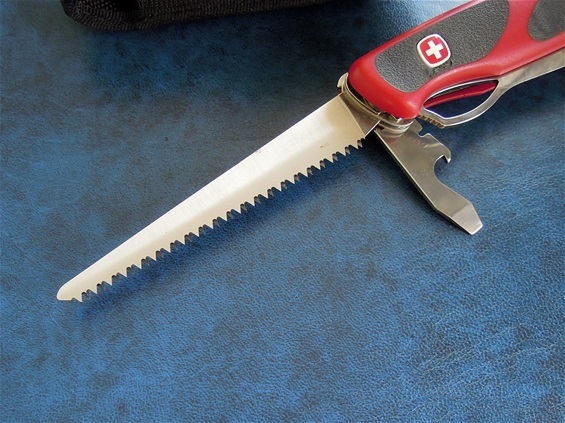 Wenger also made Multi-Tool 130mm New Rangers with the pliers. Anyhow if you study large MTs of the world you see a large variation on sizes and categories. 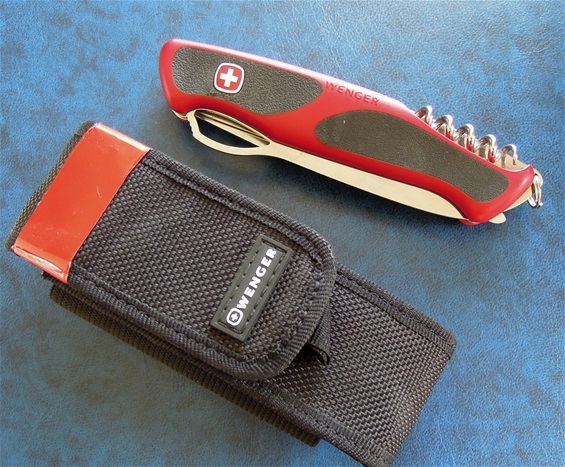 The most professional one got larger blades like Victorinox, Wenger, Leatherman and Gerber just to mention a few. The biggest advantage with the MT is to be one package deal for the users need. To fulfill this in the outdoors you need large size functions. It is important that the Pliers are extra sturdy. Here the Ranger knives could be made better. Then again it was an outdoors product and the plier works for what is was made to do. It was also intended for crafts work. It is a SAK and therefor a hybrid MT if it got pliers in my opinion. I really hope it can be a trend in the future that makers continue the pressure on making them better and better to be able to fulfill this. My schooled knowledge is still that the Combination fixed blade and MT is still the absolute safest and best prepared mindset. That the knife blades on the tools are larger is a good path and direction. The Wenger RangerGrip 79 shown again today is just incredible well made. It is the legacy from Wenger. This company realized the need for the Bit options, pliers, very large saw and large OH lock knife blade. It is an example to follow. Please take the time to read some of my pages under New Rangers to read my research and mindset. I have several ideas on what the future MTs or large SAKs should be in the future.